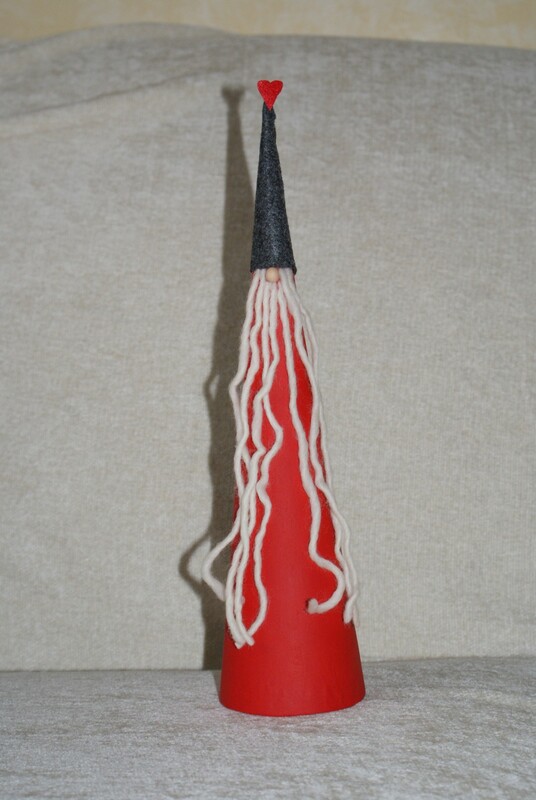 Standing approx 27cm or 32cm high this trendy Santa’s body is made using a pulp cone, his coat is either red or grey. He wears a grey felt hat with a red felt heart perched at the tip. From under his hat his nose protrudes with a cascading soft white wool beard.